It's not often I have an opportunity to extent such tremendous praise to an operation. Sherry Marie & her staff are simply in a league of their own, truly exceptional individuals, the epitome of professionals. I could write chapters about their follow through, finesse, communication, & pure genuineness. They strive to delight their clients & succeed 10 fold. I came to Timothy Toye & Associates in desperation after having had a particularly bad experience with another management company. They got the house listed almost immediately & reassured me that my property was in good hands. This team is professional, reliable, & trustworthy. I'm so thankful for all they've done. Couldn't be better! Great job! Sherry & Amy are efficient, smart, friendly, & warm. We are very happy to be working with them. Best experience I have had with a rental or real estate company in Lake County, Ca. Everyone has been caring, responsive, & prompt. The Property Management Department consistently finds responsible and friendly tenants for me. I recommend them to anyone needing help finding good tenants. Knowledgeable, professional staff, handled every detail minimizing the stress of managing my rental property. Highly recommend Timothy Toye & Associates for all of my property needs. This has been very challenging and Sherry & Amy have both been extremely good at responding quickly to any needs I had. Thanks Sherry! Sherry Marie and her assistant Amy were wonderful to work with. Sherry's a great people person which is invaluable when dealing with renters. Amy is very professional and has first-rate administrative skills. You can always count on her to know the answer or research the question and get right back to you. I ended up with a nightmare renter (not Sherry's fault) and she was an absolute lifesaver, both pragmatically and emotionally, overseeing the cleanup and rehab job. I sold the rental for top dollar without the pain of seeing my house upon the tenant's eviction (I live in Texas). Using Timothy Toye & Associates Property Management service made long distance landordling possible. Our home has consistently been rented through Timothy Toye & Associates. Sherry and her team are quick to address any questions or concerns. I have been dealing with this property management team since 2011. They have always found me a reliant tenant in a reasonable time. They are professional, honest, and business-like. We purchased a fixer-upper duplex and had work that would take a few months to get done because we live out of town and could only work on weekends. Sherry came over to talk to us and handled all of the fixing up work for us. Both units were rented out within 2 months. We have been very happy with your service and would be happy to recommend you to others in similar situations. Sherry & Amy kept us informed. We appreciate the detailed screening and professional paperwork. Money well spent to obtain good tenants that will take care of the property and pay rent in a timely fashion. If you have a rental, Timothy Toye & Associates will find you a dependable renter and guide you through all of the details for a proper rental agreement between you and your tenant. The advise and guidance from Sherry made a difficult situation doable. I am very grateful to have Sherry & Amy as my rental gurus. They are knowledgeable, friendly, and incredibly helpful. After months of remodeling, the process of renting my home seemed overwhelming. I didn't know where to begin to find the kind of renters that would take care of my home and be financially dependable. They came to my rescue with kindness, assurance and confidence. They screened applicants, set-up appointments, have a very complete rental agreement which covers things that I didn't even know could be issues, and have wonderful follow through. I loved working with them and I got very good renters. I highly recommend all Timothy Toye Associates. I also bought my house with Timothy Toye and was impressed with the efficiency, professionalism and successful outcome. My Overall experience was good and I would use your company again for my professional needs. I would rate your property management staff as very good and thorough. You cover all the bases in protecting your client and ensuring that the applicants are worthy tenants. I would highly recommend Timothy Toye & Associates for your real estate needs as they protect their clients needs in Real Estate transactions and are knowledgeable and professional. They took a tremendous burden off of my shoulders by finding a tenant for my rental property. Timothy Toye's property management service made the entire process of renting my property as efficient & painless as possible. They very quickly found an appropriate tenant and they helped us prepare the property every step of the way. I highly recommend them. 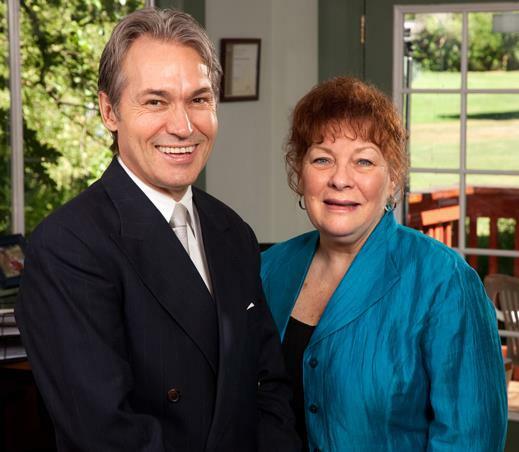 Timothy Toye & Associates is a joy to work with. Prompt, professional, and pleasant. The entire staff makes property management simple and uncomplicated. This is my first time working with a property manager and it's been great. Thank you! Thanks for getting the home back in good condition and finding a better tenant. Kept me in the loop, friendly and outgoing. Very patient and understanding in all matters. I feel I have two new friends in Amy & Sherry Marie. Thank you so much. You guys are the best. After a couple of months of stress & sleepless nights as I tried to rent our house myself, I found comfort & success at the offices of Timothy Toye, especially in the capable hands of Sherry and her sidekick Amy. Sherry was first & foremost a counselor, relieving much of my anxiety. She answered a multitude of concerns, was able to articulate potential pitfalls, & found us excellent tenants. I feel confident that my tenants were well vetted & the lease is safely written. I would also like to thank Timothy & Sherry for meeting me at our property to help evaluate our options. If ever I need to rent our house again, or decide to sell our property, I find comfort in knowing you are there & that I will know exactly where I will go. It was all great; awesome services. Very professional. We feel Sherry's contacts have been paramount in keeping our house rented. 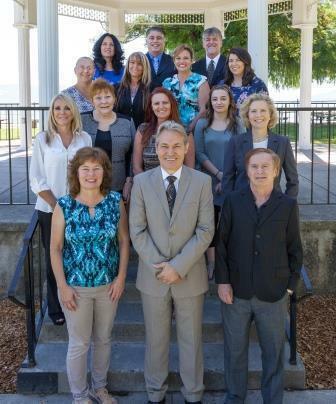 I recommend T. Toye & Associates to people with property or rental issues in Lake County. Sherry handled the renting process professionally and returned all calls/concerns promptly. After being a landlord I was glad Sherry took over. Very helpful, stress reducing. Very friendly, professional; they did what I cannot and know when to say no. Everyone is supportive & professional. Great Experience. Sherry should be put up for Sainthood. Excellent, Sherry is wonderful to work with. Timothy Toye & Associates provided us with excellent & efficient service and we were very pleased with the whole process. I highly recommend doing business with them. We were displaced due to the Valley Fire & needed a rental in a hurry. Sherry found it right away & we were able to move in a week later. Very successful transaction. We were very pleased with the service provided by Amy at Timothy Toye & Associates. Amy went above & beyond to get our rental keys during the Holidays. It has been a very positive experience. Come! "Toye Around" Cobb Mountain. Let Timothy Toye's staff & associates assist your search with their knowledge, experience & know-how, I did and it was well worth it. Gratefully, a satisfied customer. Everything was handled smoothly and effortlessly. Not a bad word to say about Sherry & Amy's diligence! They're amazing! What a team! Sherry & Amy were wonderful & forthright in getting us our wonderful home. The paperwork was done in such a quick & professional manner; we were delighted! The application process was one of the easiest and most professionally handled that either of us has every experienced. My rental was handled very well. Things went quite smoothly for just moving to the area. Thanks to both Sherry & Amy for their help. I needed a place immediately and Sherry & Amy helped me find a place and got me qualified very quickly. Sherry and Amy are very professional and always putting forth their best effort to make sure all issues are handled timely and accurately. I highly recommend Timothy Toye & Associates. The staff is friendly, professional and always puts their customer first. Since moving into one of their properties, I have had several personal challenges. Sherry and Amy have worked with me on these challenges beyond what's required and I can't thank them enough. It's always a pleasure communicating with them as they are always so welcoming and go the extra mile for their customers. Thank you Sherry and Amy for making my move to a different community a smooth transition!